Last week, a federal court in Texas refused to enforce a company’s non-compete agreement against four key employees who started a competing business because the agreement was missing a key term – the end date. The company argued that the court could rewrite the non-compete to add a reasonable end date (a procedure sometimes allowed in Texas) but the court refused to do it holding that it could not fix an unenforceable agreement. Thus, the four employees who started a competing business remain free to compete and solicit the company’s clients. The company argued that while the employees worked there, they, collectively, were exposed to all kinds of confidential information, including company-wide strategic plans, OEM relationships and pricing levels, details of written and oral contracts with customers, manuals, forms, techniques, methods and procedures at the company, the Salesforce database that contained a list of all company customer contacts and point persons within the customer, as well as specific notes from customer visits and discussion points, cost of materials, and the company’s product margins. The company also told the court that it allowed the departed employees to entertain customers and reimbursed them for expenses, and paid for their cell phones used to communicate with such customers. Nevertheless, because there was no evidence that the employees took any confidential information with them when they left and because the company admitted that its product manufacturers and customer information were not confidential, the company could not stop the employees from competing once the court declared the non-compete agreement not enforceable. BOTTOM LINE: The above situation can be avoided through simple practice of: (1) knowing what is in the company non-compete agreements; (2) making sure all the key provisions required by the relevant statutes are included; and (3) periodically updating non-compete agreements so that they are compliant with the relevant state law. Leiza Dolghih is a partner at Lewis Brisbois Bisgaard & Smith LLP in Dallas, Texas and a Co-Chair of the firm’s Trade Secrets and Non-Compete Disputes national practice. 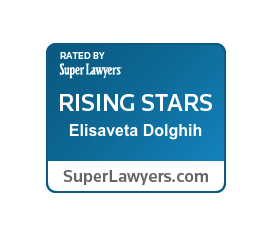 Her practice includes commercial, intellectual property and employment litigation. You can contact her directly at Leiza.Dolghih@LewisBrisbois.com or (214) 722-7108. Generally, Texas allows non-compete agreements between employers and employees as long as they are reasonable in scope, geographic area, and term, and meet a few other requirements. See my previous posts about those requirements here, here, and here. Practically speaking, however, whether a particular non-compete agreement is valid depends heavily on the exact language used in the agreement. Just as with any other contract, Texas courts will usually look at the precise language of a particular employment agreement to determine what the parties had in mind when they entered into it. Last year, a hospitalist group in Houston learned the above principles the hard way when it attempted to enforce a non-compete covenant against a physician who went to work for a competitor and discovered that the non-compete did not prohibit the physician from doing so. 6.2.1 Provide services as a hospitalist physician to any entity that offers inpatient hospital and emergency department services. In a separate provision in the same agreement, however, it stated that the physician’s first 12 months on the job were to be considered an “introductory period” during which either party could terminate the employment relationship for any reason. The specific paragraph stated that it applied notwithstanding any other provision in the agreement and it failed to included or mention any non-compete restrictions. The court of appeals analyzed these various clauses in the contract and concluded that because the physician terminated his employment with the hospitalist group within the first year, i.e. the “introductory period,” the post-employment non-compete clause did not apply to him. Thus, he was free to compete with his former employer. TAKEAWAY FOR EMPLOYERS: Employers should have a qualified attorney draft and/or review their non-compete agreements. While there are many forms out there, because non-compete agreements in Texas have to be catered towards each employer’s business and because courts will scrutinize the language when determining whether to enforce the agreement or not, using a standard form may result in the employer not being able to enforce it due to gaps in the language or failure to address specific termination situations. TAKEAWAY FOR EMPLOYEES: Signing a non-compete agreement without reading it first can result in a major headache down the road and severely limit employee’s career options. Therefore, employees should always: (1) read the agreement; (2) request a clarification if something is not clear; and (3) keep a copy of the signed agreement for their records. In Texas, non-compete agreements that relate to the practice of medicine must meet certain statutory requirements in addition to the consideration and reasonableness conditions discussed here. Last week, the Fourteenth Court of Appeals in LasikPlus of Texas, P.C., et al. v. Mattioli denied a lasic clinic’s application for a temporary injunction against a former doctor precisely because his non-compete agreement failed to comply with one of the requirements, thus allowing the doctor to proceed with the competitive practice while the parties litigated their dispute. provides that the physician will not be prohibited from providing continuing care and treatment to a specific patient or patients during the course of an acute illness even after the contract or employment has been terminated. In LasikPlus of Texas, after working for the laser eye surgery center for nine years, Mattioli, a licensed ophtalmologist, terminated his employment and notified LasikPlus that he was opening his own clinic featuring laser surgical procedures less than two miles from his former clinic’s location. LasikPlus requested a temporary restraining order (TRO) as well as a permanent injunction seeking to enjoin Mattioli from operating his clinic within the area and for the time-period prohibited by the covenant not to compete. The district court first granted an ex parte TRO, but then dissolved it after the hearing on a temporary injunction. The Court of Appeals affirmed the district court’s decision after finding that LasikPlus had failed to prove the likelihood of success on the merits on its breach of contract claim. Since the parties conceded that the non-compete agreement did not contain a buy out clause required under Tex. Bus. & Com. Code 15.50(b), the agreement was probably not enforceable and LasikPlus would ultimately loose its breach of contract claim. Thus, in absence of the required clause, the probability of ultimate success on the merits for LasikPlus was too low to justify a temporary injunction. The Court of Appeals also explained that while Section 15.50(b) authorized a court to reform i.e. rewrite a buy out clause that was unreasonable, it did not authorize the court to write a buy out clause into a contract where one was absent. The Court of Appeals specifically stated that “there is no indication in Section 15.50 that the legislature intended to invest courts or arbitrators with the authority to reform noncompete covenants to create buy out provisions. To the contrary, the section as a whole provides that if a noncompete covenant involving a physician does not have a buy out clause, it is not enforceable.” Thus, the Court rejected LasikPlus’ argument that it was likely to succeed on the merits with respect to the reformation request. In denying the temporary injunction, the district court allowed Matiolli to compete with the clinic while the parties litigated their dispute and also determined that LasikPlus was not likely to prevail on its breach of contract claim because the non-compete agreement was not enforceable. CONCLUSION: In Texas, non-competition agreements that relate to the practice of medicine are subject to a specific list of requirements. Failing to comply with these requirements will result in a non-compete agreement being unenforceable, and, therefore, completely useless. Thus, the parties should always include a buy out clause in the agreement with an understanding that if they disagree later about the reasonableness of the clause, a court or an arbitrator can be asked to resolve their dispute. For more information regarding the enforcement or drafting of non-competition agreements in Texas, contact Leiza Dolghih. Texas courts have the authority to rewrite non-compete agreements that they find to be unreasonable. Thus, a business might be tempted to draft a broad non-compete agreement thinking that when a push comes to shove, it can just ask the court to reform the agreement to make it more reasonable. However, the recent First Court of Appeals’ decision in Sentinel Integrity Solutions, Inc. v. Mistras Group, Inc., et al., illustrates why relying on reformation as a way of fixing an overly-broad non-compete agreement could end up being very costly to the employer. At issue in this case was a non-compete agreement signed by Sentinel’s employee, Olson, upon his promotion within the company. The agreement required that he “refrain from competing with [Sentinel] or otherwise engaging in ‘Restricted Activities'” for a period of 3 years after the termination date within a region including 7 cities and 4 counties in Texas, locations in 6 states and 1 country, and “a twenty (20) mile radius around all customers’ job sites and/or project facilities that [the employee] called on or services on behalf of [Sentinel] in all geographic regions, wherever located.” Olson only worked at the Sentinel’s Corpus Christi location. When Olson left to work for another company, Sentinel immediately sued him and his new employer seeking enforcement of the non-compete agreement under Tex. Bus. & Com. Code Ann. 15.50(a) and, alternatively, reformation of the agreement under Tex. Bus. & Com. Code Ann. 15.51(c) if the court found that the covenant was not reasonably limited as to time, geographic area, or scope of activity. Until the last day of trial, Sentinel maintained that the covenant not to compete was enforceable as written. On the last day, its counsel conceded on the record that the agreement was unreasonable at least as to the geographic area it covered. Still, Sentinel did not request reformation until after the jury returned its verdict requiring it to pay Olson’s $750,000 attorney’s fees. The trial court reformed the non-compete agreement as requested by Sentinel, but also adopted the jury’s award of the attorney’s fees. plaintiff sought to enforce the covenant to a greater extent than was necessary to protect its goodwill or other business interest. Sentinel attempted to enforce the covenant’s general ban on “competing,” including restricting Olson from working in geographic areas that were not tailored to Olson’s work on behalf of Sentinel or even to Sentinel’s own current business. CONCLUSION: Sure, you can always ask a Texas court to reform a non-compete agreement, and the court will most likely do so. However, if it finds that a company knew at the time the non-compete agreement was executed that it contained unreasonable restrictions and it tried to enforce it to a greater extent than was necessary to protect its business interest, the company might end up paying the other side’s hefty attorney’s fees bill on top of the reformation. Thus, instead of handing employees a boiler-plate broad non-compete agreement with a hope that a court can later “fix” it if necessary, a business should attempt to draft its non-compete agreements to reflect the particular geographic areas and the job duties of the employees that sign them. While it is not always possible to know where an employee will end up working over the years, a language in a non-compete agreement that ties the “restricted area” of competition to the area where the employee is going to work, without naming specific geographic locations, plus a reasonable mile radius, can help a company avoid a Section 15.51(c) award. Similarly, instead of including every possible activity in a list of competitive activities to be restrained, catering the language to the job description of the employee who will be signing the agreement, might help ward off a Section 15.51(c) award. If you have followed the steps in Part I, you might now be in possession of evidence confirming that your ex-employee is violating his or her non-compete agreement. Such evidence will do you no good, however, if the non-compete agreement that you are relying upon is not enforceable. So, before you race to the courthouse asking for a temporary injunction, an assessment of enforceability is in order. This analysis needs to be done quickly, if not simultaneously, with the steps described in Part I. Over the years, Texas courts have steadily moved toward making the enforceability of non-compete agreements easier. This post addresses the most current general requirements as spelled out by the Texas Supreme Court over the last decade, but beware of the old cases that used to impose additional requirements, but are no longer good law. 1. There must be consideration. 2. The limitations on time, geographical area, and scope of activity to be restrained must be reasonable. Question 1: Did the Employee Receive Adequate Consideration for His/Her Promise Not to Compete? Because Texas is an at will employment state, an employer’s offer of employment can be terminated at any time, is illusory, and does not by itself constitute sufficient consideration for an employee’s promise not to compete. Therefore, an employer must promise its employees something other than an offer of employment in exchange for their signature on the non-compete, which includes confidential information, trade secrets or specialized training provided by the employer. Consideration can also include stock options or other financial incentives that are “reasonably related” to the employer’s interest that is worthy of protection. Question 2: Are the Limitations on Time, Geography and Scope Imposed by the Non-Competition Agreement Reasonable? Non-competition agreement must restrain no more activity than is necessary to protect the legitimate business interest of the employer. Texas courts have consistently refused to enforce agreements that prohibit all competitive activity or prohibit employment in any capacity for a competitive entity. The courts have also refused to enforce agreements that prohibit activity unrelated to the work the employee preformed for the former employer. Similarly, Texas courts have also determined that non-competition agreements that contain no geographical limitations or fail to limit the scope of activity to be restrained are unreasonable and unenforceable. Generally, a reasonable area of restraint consists of only the territory in which the employee worked for the former employer. Thus, courts in the past have refused to enforce non-competition agreements with nationwide applicability when the employee did not have nationwide responsibilities for the former employer. While the court in Texas have authority to reform a non-competition agreement to narrow the scope or the geographical area of the agreement so as to make it enforceable, they will not always do so. So, hopefully, you had legal advice regarding the non-compete agreements when they were drafted and the above issues are not going to prevent you from enforcing them. If not, you need to revise your current non-compete agreements and the employment policies that affect the exchange of consideration to ensure that the above-described requirements are met. If, after conducting the above enforceability analysis, you believe that your non-compete agreements contain reasonable limitations and the former employee was given some sort of consideration in exchange for signing the non-compete agreement, you might have an enforceable agreement on your hands. I will discuss the next steps of enforcing a non-compete agreement in Part III.